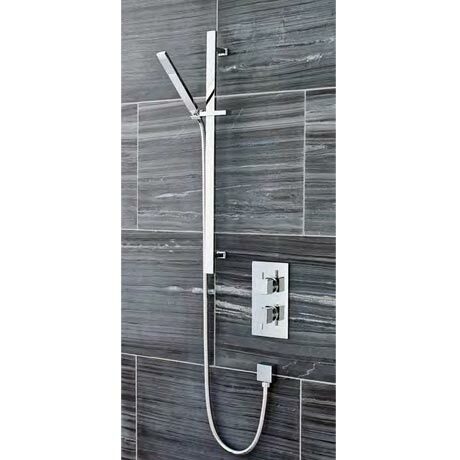 This Ultra Pioneer Square minimalist concealed thermostatic shower valve will compliment any modern bathroom suite, offers thermostatic showering via two easy-to-operate controls for temperature and flow. Supplied with a slide rail kit. Can withstand pressures up to 25 bar. Suitable for water systems between 0.1 - 10 bar static pressure. Thermostatic control to +/- 2 to 3&°C degree - even if the water pressure fluctuates. Slider rail chrome plated brass.